Latokhin Dressage. Lessons, Training, and Sales. Sara graduated from the University of Findlay in 2006 with Equine Business Management & Equine Science Degrees. While in college she trained with Janet Harms and Roberta Williams. During this time Sara was also President of the Intercollegiate Dressage Association, and was ranked 5th nationally her Senior Year. During the summers she was a Performance Rider at Tempel Lipizzan Farms. Since graduating Sara has continued her own training with various other trainers including Victor Pozzo, Jochen Hippensteil, Curtis Sage, and Ken Borden. With the help of her coach, Julie Julian, Sara has competed through Grand Prix . Sara believes in constantly improving herself, along with her students and horses. Latokhin Dressage attends, as well as organizes, numerous clinics a year. Sara has earned many performance awards, most notably the USDF Bronze, Silver, & Gold Medals. Sara began her training business in Ohio where she trained and managed Full Spectrum Friesian Stables. She rode, drove, and prepared the Friesians for breed approvals. After Full Spectrum, Sara moved back to her native Chicago and continued training and showing. 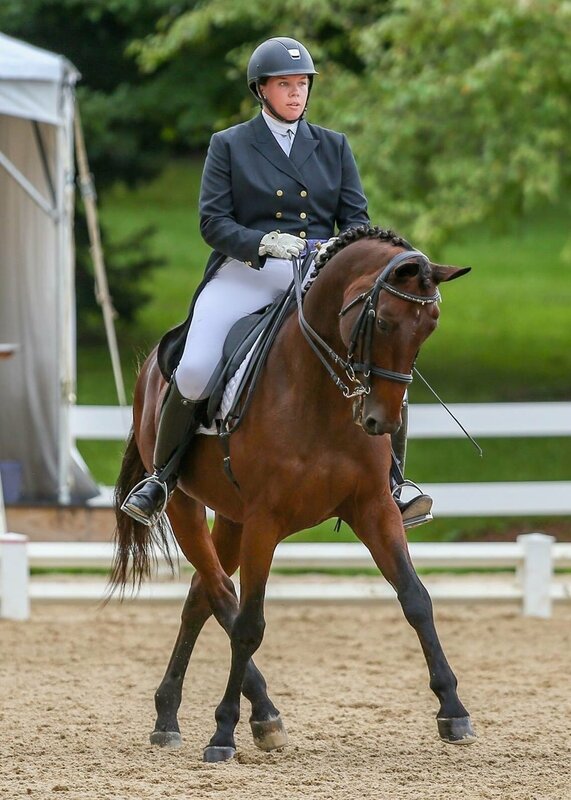 Currently Latokhin Dressage operates out of Independence Farm in Libertyville, IL.